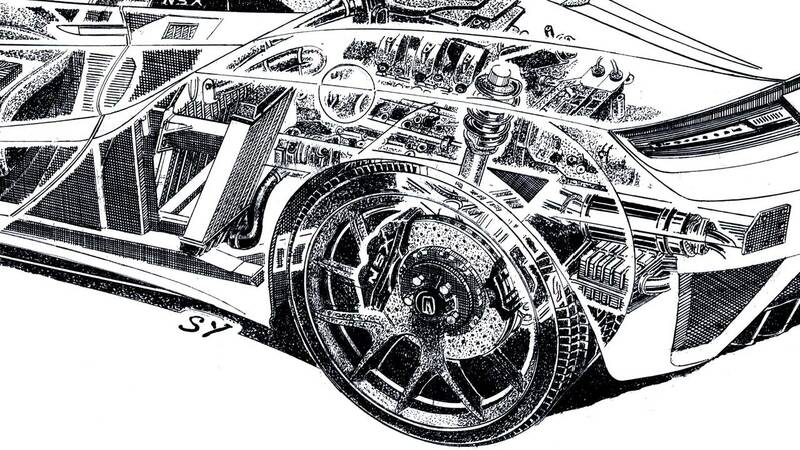 Vehicle cutaways are some of the coolest bits of automotive art you’ll ever see, especially when they’re done right. Having spent considerable time with David Kimble and his massive portfolio of cutaway art through our Kimble Cutaway series, we are keen to experience the detail offered up by artist Shin Yoshikawa on this extraordinary Acura NSX cutaway. 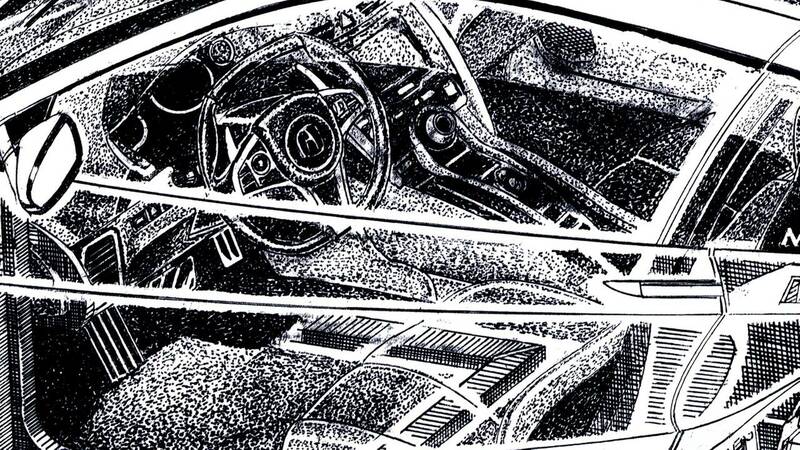 And trust us when we say the detail on this pencil-sketch is flat-out amazing – from the interior to the wheels and the car’s hybrid powertrain. "The NSX's innovative power unit was extremely challenging to draw, making the second-generation NSX the most difficult vehicle I have sketched," said Shin Yoshikawa. "Everything comes down to the details. If you don't understand the technology that goes into building vehicles, you won't be able to build them, and you certainly can't draw them." To get a true appreciation for Yoshikawa’s talent, one must take a close look. Sure, the NSX branding on the brake calipers are neat, but the cross-drilled rotors have just the right amount of “noise” to give them a metallic feel despite this sketch being simply black-and-white. For that matter, look at the detail of the radiator forward of the rear wheel, and the visible components on the 3.5-liter twin-turbo V6. Moving forward, the interior is represented in a technically correct manner that also takes on an artistic flavor with the shading. And do you notice the ghostly outline of the driver seat? Acura says Yoshikawa spent months creating this piece of art using primarily notes and his own memory of the car. It’s a stark contrast from the incredibly detailed and colorful cutaways we’ve seen from David Kimble’s collection, but this minimalist approach with its black-and-white scheme is stunning in a very different, satisfying way. We could spend all day zooming in for a close look, but the pencil work creates a level of shading that looks even better when viewed farther back. Either way you look at it, this Acura NSX sketch is an exquisite representation of a superb supercar. 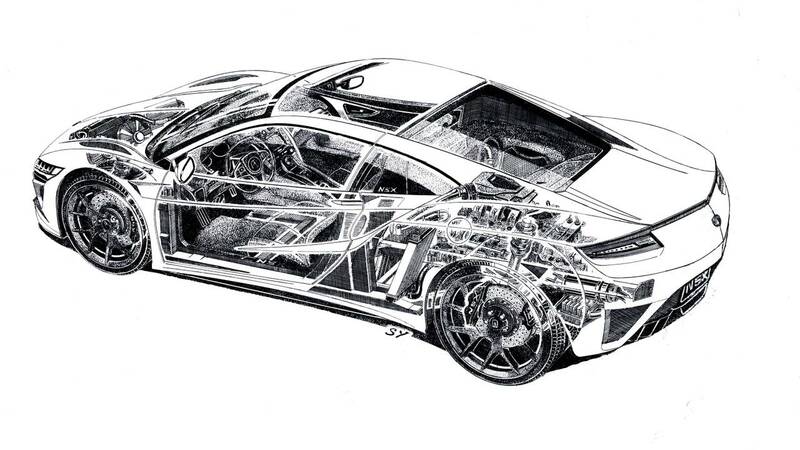 Acura today released a hand-drawn cutaway sketch of the NSX supercar by legendary automotive illustrator Shin Yoshikawa. Celebrated around the world for his artwork, Yoshikawa has been called one of the greatest living automotive artists and has a special kinship with Acura, dating back to the first generation NSX. 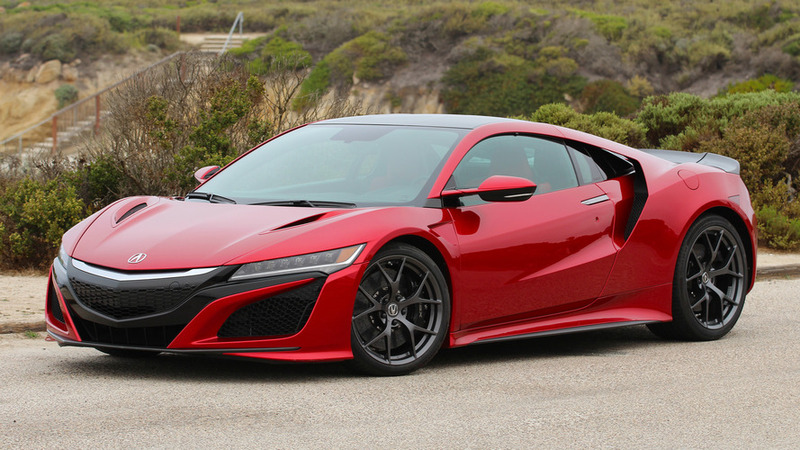 The 2019 Acura NSX made its global debut at Monterey Car Week and is distinguished by a new body-color front grille garnish and high gloss treatment for the front and rear fascia mesh. An expanded color palette includes a vibrant Thermal Orange Pearl paint, an Indigo blue leather interior option and two new brake caliper colorways. A host of chassis enhancements include stiffer stabilizer bars, a new grippier tire and software tuning designed to elevate the 2019 NSX's performance in all driving situations—whether on the street or race track. The result is a supercar even more responsive to the will of the driver, leading to a nearly 2-second faster lap time around the legendary Suzuka Circuit.